National Heroes and Heroines Day is a public holiday in Anguilla, that annually falls on December 19. Previously this holiday was known as Separation Day. Separation Day was originally established to celebrate the anniversary of separation of Anguilla from the territory of Saint Christopher-Nevis-Anguilla, that was given a status of associate state by Britain. On July 11, 1967 Anguilla held a referendum on secession from the federation and a separate legislative counsel was immediately declared. The next referendum on returning to association with Saint Kitts was held on February 7, 1969. 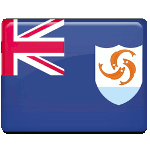 After it Anguilla declared itself an independent republic. The formal disassociation from Saint Kitts was made only on December 19, 1980 and Anguilla finally became a separate British dependency. Several years ago the government of Anguilla made a decision to rename the holiday into National Heroes and Heroines Day. The holiday is dedicated to all heroes and heroines, who played an important role the history of Anguilla and gave their lives for its prosperity. National Heroes and Heroines Day is one of the major holiday’s in Anguilla. The memorial services and festive events are organized to celebrate the day.